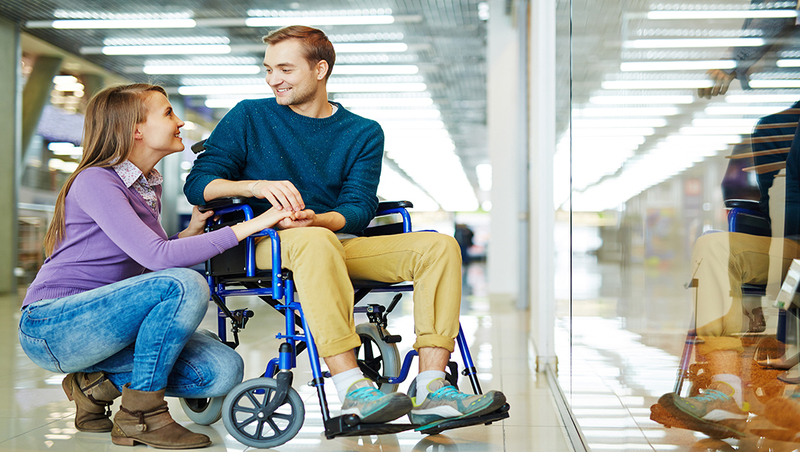 You may feel nervous about planning a date with a wheelchair user. You are aware of the restrictions they may face and you don’t know where to go or what to do. Well, we’ve put together a fun little list of accessible date ideas that you can try with your date. It’s always a good idea to ask your date where they want to go. Or, where they are comfortable going. There are going to be some activities that they aren’t interested in. For example, not everyone drinks. In that instance, a wine tasting isn’t going to go over very well. So, it’s important that you take your dates hobbies and interests into consideration. This list is a good place to start though. It may sound like an inaccessible idea, but it isn’t. Most bowling alleys have ramps that you can reserve, specifically for wheelchair users. So, if you’re going to try rolling out this date idea, make sure you call ahead and reserve that ramp! Also, there is usually a great selection of food at bowling alleys. This is also a great opportunity to get to know each other as it’s quiet enough for conversations. This isn’t suggested for the only activity on the date. There isn’t any option to converse with one another. But, if you’re going to dinner afterwards, or heading to a wine bar – this is a good option. The movie will give you both something to talk about later on. Most theatres already have ramps, so finding accessible seating shouldn’t be hard. You can call ahead just to make sure though. Dinner is a classic first-date idea. You’ll definitely want to call ahead and reserve an accessible table. You’ll want to make sure there is an accessible restroom as well. But, once you’ve done all the research, you’re set. Of course, eating in front of someone new might be nerve-wracking. But, your date is just as nervous as you, so don’t worry so much. This is a fun idea for getting to know each other. They are completely accessible because they are often in wide open spaces. You’ll be in a large group, so both of you can feel a little less nervous about being out together. But while it’s crowded, you should still be able to converse with one another while you stroll around and take in the scenery. Here, we’re referring to museums or art galleries and anything else that showcases something. It could even be an aquarium or a zoo. Either way, it gives you both something to look at and something to talk about. Most of these places are quiet enough for conversation, but public enough that you’ll feel safe. As long as the date idea is accessible, you’ll both be happy. The most important thing about your date plans is that you’re both comfortable enough to get to know each other. After all, you want to get to know more about your date. Your date wants to get to know more about you. You both want to stroll away from the date having a good time.